During the holiday season, shoppers are on the hunt for the best possible deals. By strengthening sales promotions with shipping offers, particularly free shipping, forward-looking merchants can cut through the noise and stand out from the competition. We know that shoppers routinely compare prices across merchant sites before making a purchase, and that shipping costs are always top of mind. So much so that free shipping has moved from a nice-to-have to a need-to-play tactic during the holiday season. Since 2013, Canada Post has been monitoring the biggest e-commerce merchants in Canada during the holidays to evaluate how promotional activities impact e-commerce volumes. The verdict is clear: To satisfy their shoppers and remain competitive, merchants need to offer some type of free shipping during the holidays. Here’s a detailed guide to how you can leverage free shipping without breaking the bank. The key takeaway: Merchants can expect a boost in sales when free shipping is an option. Pair sales and shipping promos to boost sales. Use combined offers to surprise and delight regular shoppers and help you acquire first-time customers. Holiday shopping is starting earlier and lasting longer, and savvy shoppers are always on the lookout for free shipping offers. 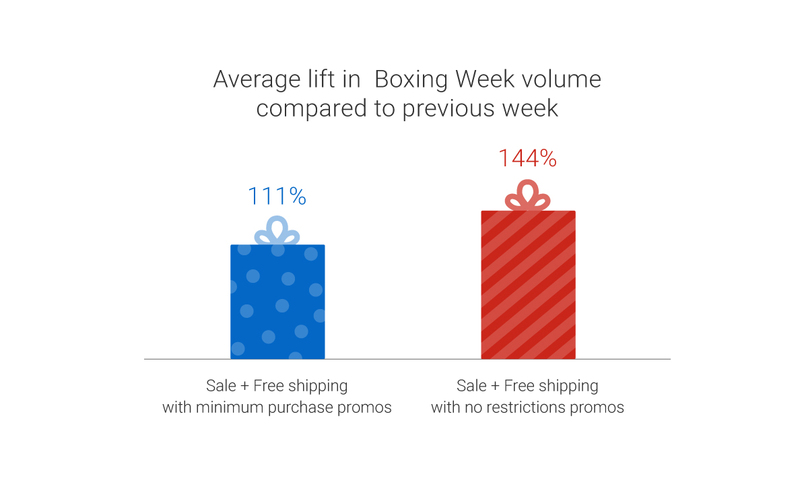 The good news: Merchants that paired sales and restriction-free shipping promotions during Cyber and Boxing Week benefited from greater lift in volumes compared to the previous week. Make the most out of your holiday sales promotions. Download our latest Holiday Guide. 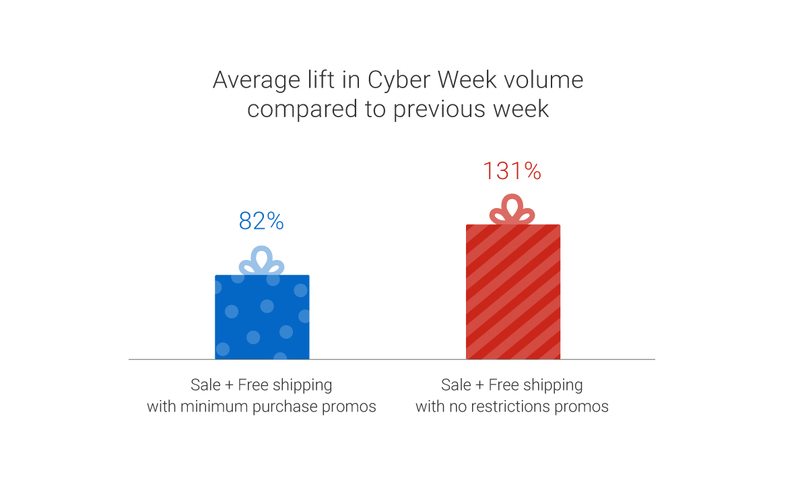 During the 2017 holiday season, merchants raised the bar when it comes to promotional free shipping. Year over year, the number of merchants offering free shipping with no restrictions on Black Friday and Cyber Monday jumped sharply. By removing this purchase barrier, merchants can win over new customers during this critical shopping period. Free shipping promotions can also help shift volumes from in-store to online during the Black Friday rush. Consider how you can leverage free shipping during peak periods. Year-round free shipping may not be feasible, but short-term free shipping promotions at strategic times can make a big difference. Recognizing that free shipping is always on customers’ minds, smart retailers are enhancing their shipping offers during the holidays. When paired with a timely sales promotion, free shipping can increase overall sales. The result: Greater customer satisfaction and the promise of higher profitability in the long run. Increase repeat purchases with post-dated promotions. Offering free shipping on the customer’s next purchase can help drive business into the next year. Should every merchant be offering year-round free shipping? Maybe not, but you clearly need to leverage it at strategic times to capture as much of the holiday spend as you can. Discover our suite of end-to-end solutions that drive business efficiency and satisfied customers.